"Constant performance and comfort along all tyre life. Improved mileage and excellent handling in wet and dry conditions. 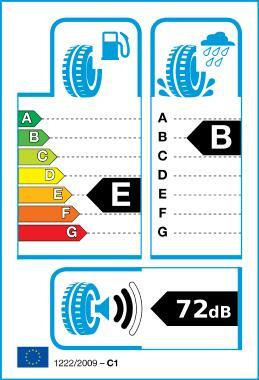 Excellent tyre choice for tuners and the most demanding sports performance drivers. Ideal for changeovers of ultra-low profile tyres with larger wheel diameter." Materials and tread design have been optimised, introducing the latest technological developments. The new compound has a balanced content of silica in order to enhance wear resistance without compromising the sportive feeling of the product in both dry and wet conditions.